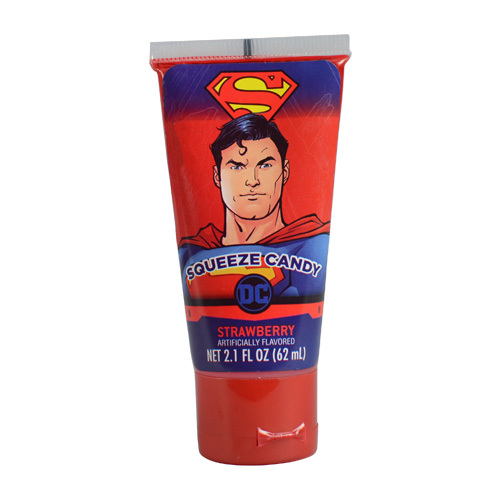 Squeezing DC Comics™ Squeeze Candy into your mouth will be almost as fun as eating it! 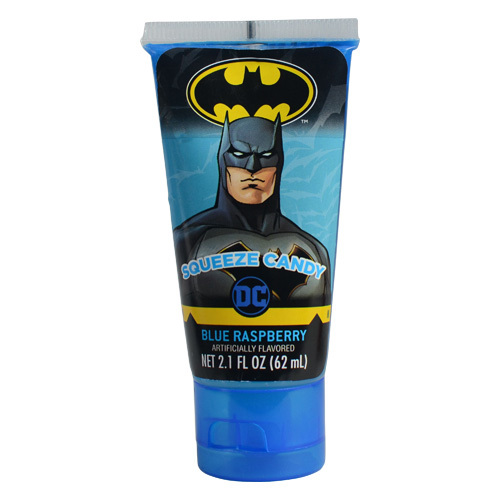 There are three different fruity flavors: Blue Raspberry, Strawberry & Watermelon. 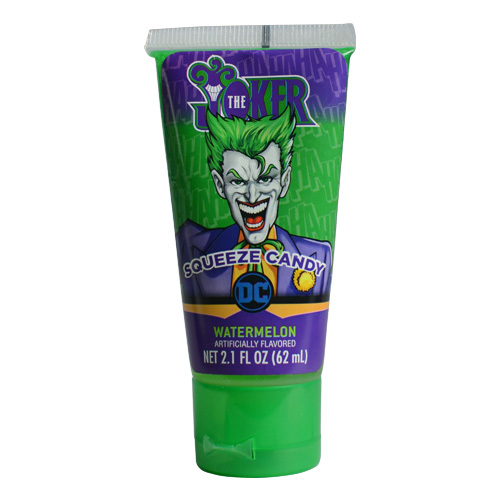 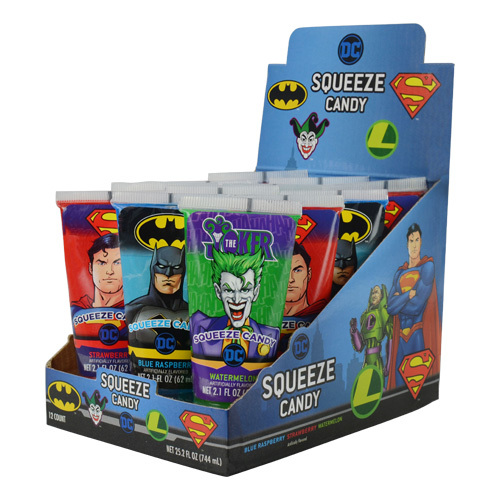 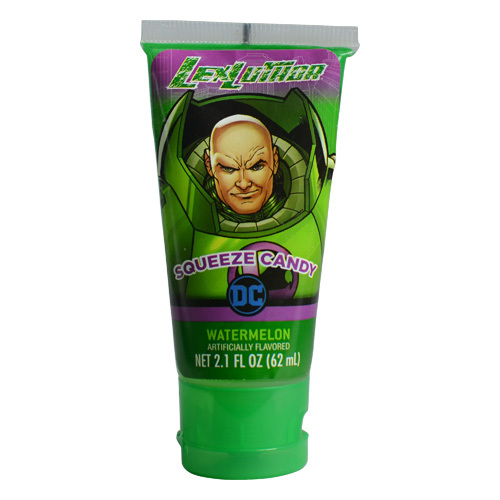 You can find a villain, or hero, on the squeeze candy: Joker, Lex Luther, Batman & Superman!